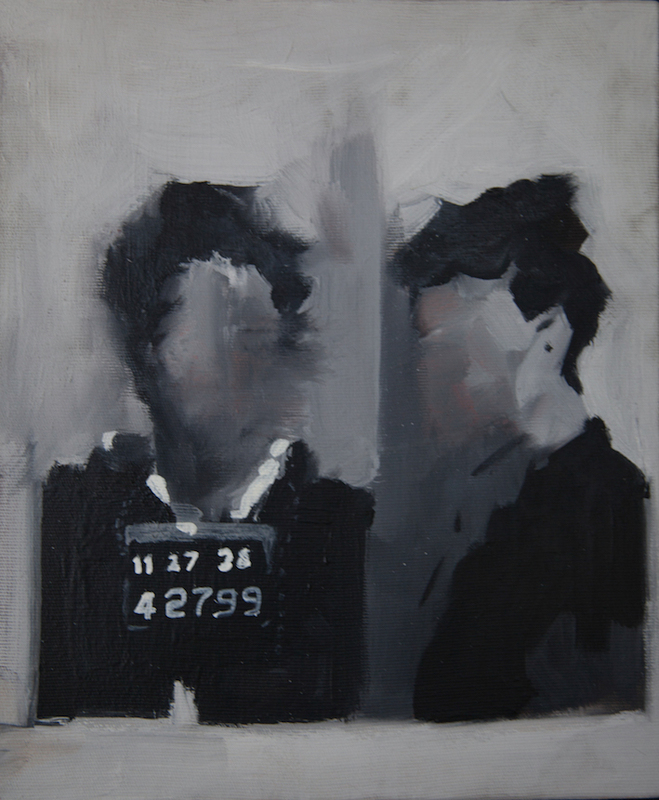 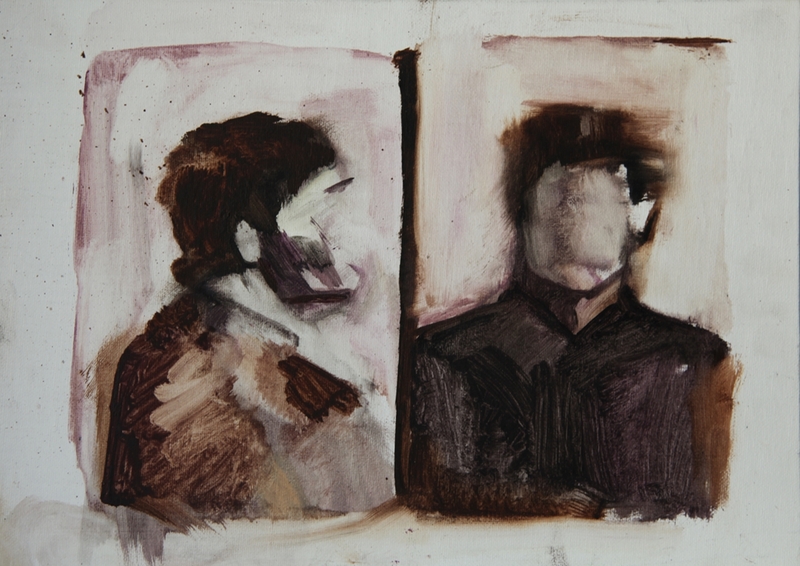 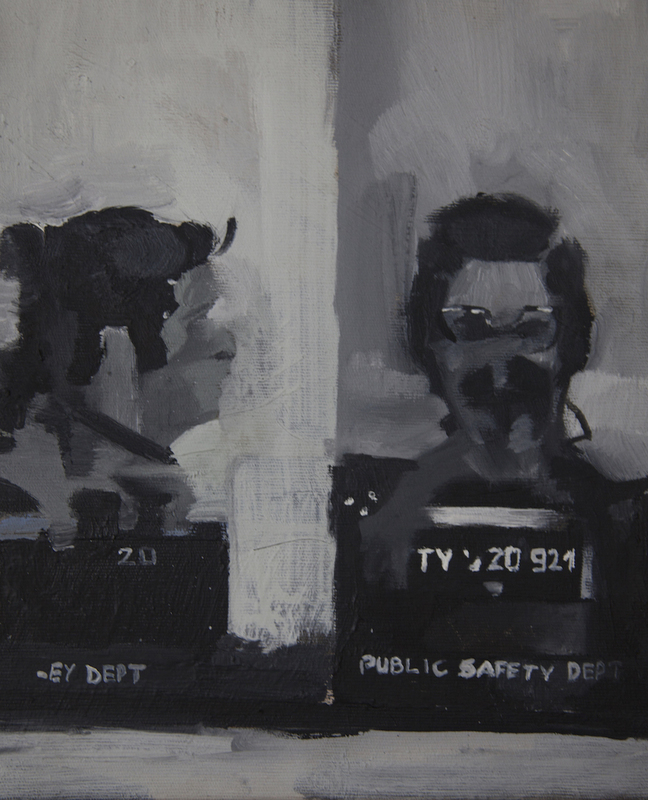 The series originated from painting the characters in Franz Kafka’s “In the Penal Colony” with reference to some mug shot photos taken from various media. 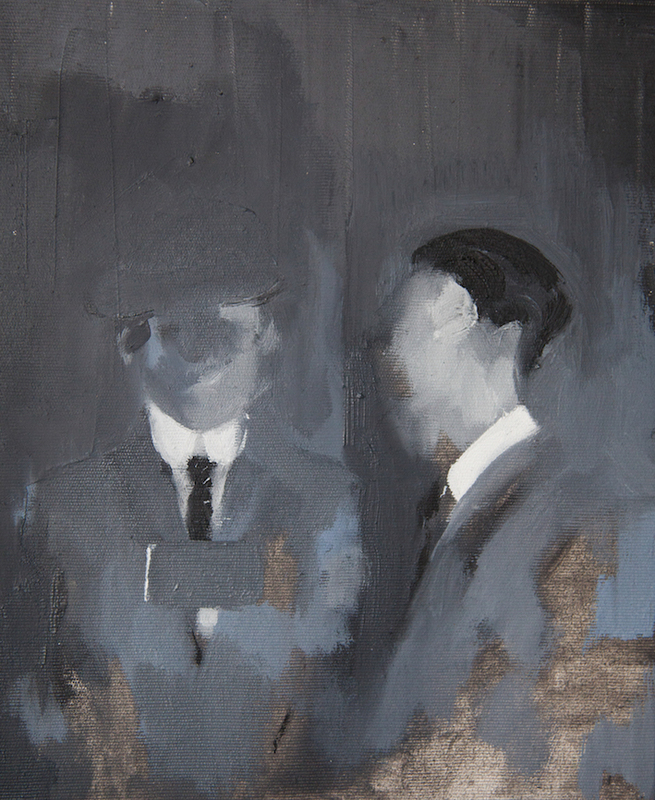 The work has taken its final form through various added and removed elements. 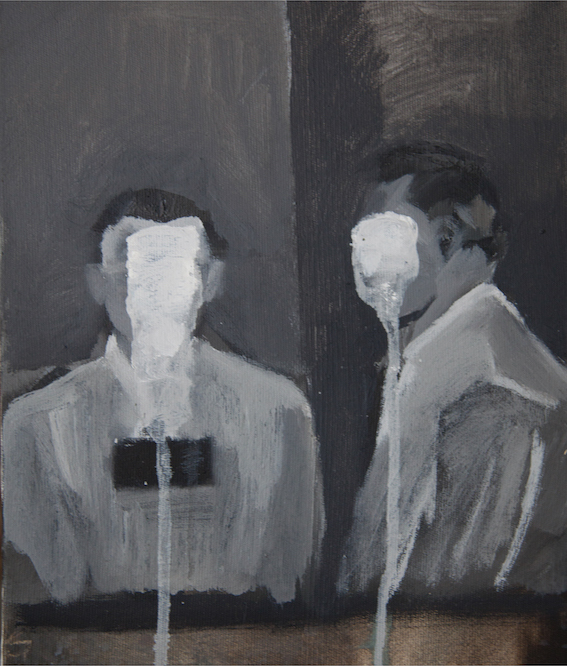 The technique of blurring the faces to render them anonymous, which I’ve applied in various other paintings, is also visible in this work. 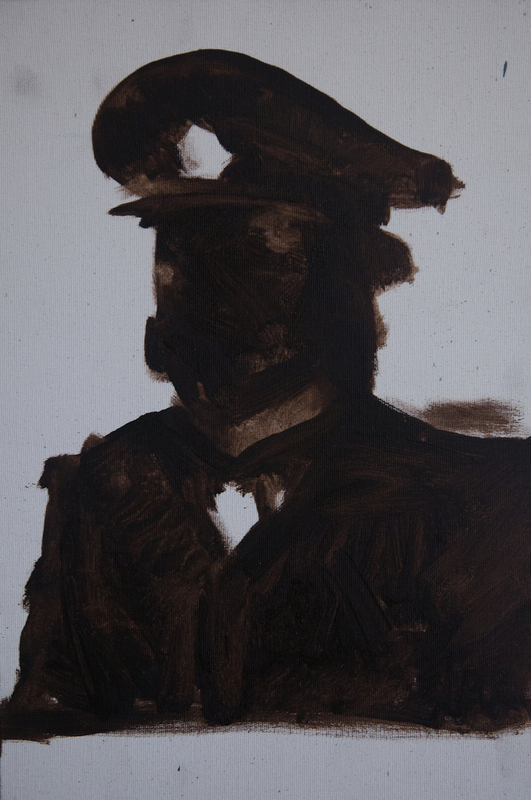 In this painting, also made using a photograph, the face in the portrait is blurred with the gray of the background, thus somehow destroying the visage and rendering the person without an identity.